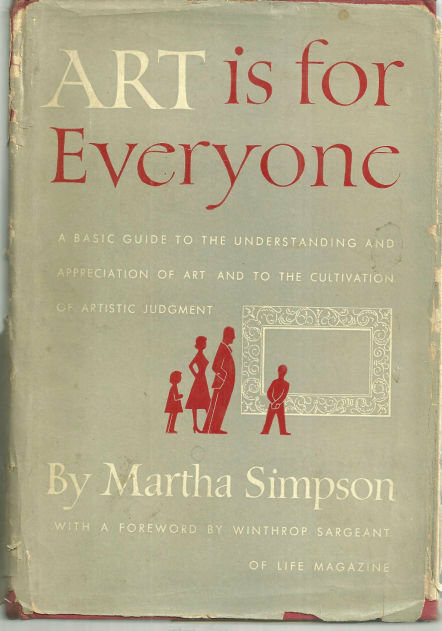 Art Is for Everyone by Martha Simpson. New York. McGraw Hill. 1951. First Edition. Hardcover. Very Good in Very Good dust jacket. DJ is worn and torn at edges. Previous owner's name. Black and White Illustrations. 173 pages.